As we wrap up the year, Danny Willett's Masters seems like ages ago. The brother of Masters Champion Danny Willett, who rose to fame thanks to his Masters final round Tweets, has finally got answers to the questions he's gotten on nearly every interview given. 2. Did you ever think he could win The Masters? Danny Willett Says He Hasn't Heard From "Old Queenie"
Michael Vaughn talks to Masters Champion Danny Willett, who has been off the golfing world's radar for nearly a month since winning Green Jacket. Unaware of a comment Jordan Spieth's instructor made a few years ago predicting analysts like Johnny Miller would criticize his pupil's swing, Johnny mentioned during a Players Championship conference call seeing more of the bent left elbow at impact in 2016. John Strege with both Miller's critique and instructor Cameron McCormick's prescient prediction. “He has a tendency with that bent left elbow to come down with the face open,” Miller said in a teleconference call in advance of the Players Championship next week. “He has been doing it quite a bit this year. He really did it [at the Masters]. That was an amazing miss in the water and an amazing fat shot in the water. Adam Schupak is reporting from the Bass Pro Shops Legends of Golf kicking off Friday and talks to a nice spread of the champions in attendance. But as always, it's Jack Nicklaus' thoughts on Jordan Spieth's Masters loss that are the most copy-and-paste worthy, including his assertion that the 2016 outcome might be good for Spieth. So there's that. And this about the 12th hole mistaken line. Noting that his heart went out to Spieth, Nicklaus continued, “I know that he knows he should never have hit the ball to the right of the bunker. I don’t care what kind of swing you put on it on 12, it just can’t happen." Why Is Jordan Spieth's Loss Still Resonating? I was minding my own business today but sporting a Masters-logoed hat, prompting an unexpected conversation about Jordan Spieth blowing the 2016 Masters. Little did this soul know that just hours before Gary Williams and I discussed how the topic won't go away. Obviously anytime an elite player blows a chance to win a major, it's news. But the outpouring, concern and downright sympathy is kind of surprising since Spieth already owns one Green Jacket. Some of it speaks to his rise to a level beyond elite golfer and into global athletic icon. Yet it seems like concern for his well-being following this Masters has reached Norman/Masters or Mickelson/USOpen levels of sadness for Spieth's plight. But as Gary and I discussed, he already has one and seems destined to contend there annually, making it hard to feel too much sadness. Jim McCabe talked to players at Harbour Town who were having similar conversations about the final nine struggles and they were taking sides in a "should have" vs. "could have" won debate. It will go down as a “should have” tournament, Geoff Ogilvy said. Even though it was three days later, Ogilvy was still processing the events of the final round of the 2016 Masters. He did not play this year, but he watched all of Saturday and Sunday and like any other fan, Ogilvy was stunned at what happened at the start of the back nine — a bogey at 10, a bogey at 11, then two balls in the water and a quadruple-bogey 7 at the 12th. Granted, Mike Walker had an early flight the next day, had delayed his honeymoon to help Danny Willett prepare and couldn't do anything from home. Still, as James Corrigan writes in a lengthy Telegraph piece, the instructor to Danny Willett (along with the legendary Pete Cowan) turned off the telly and prepared to sleep. That was after Jordan Spieth had birdied four holes in a row. The story goes on to look at how Walker and Cowan work with the clients they share and the lift this has given UK elite golfers like Andy Sullivan, Chris Wood and Matt Fitzpatrick. Several stories (like this one) coupled Jordan Spieth's Masters loss with an analyst report as the cause of an early week plunge in Under Armour shares. But the Baltimore Sun's Christopher Dinsmore says the plunge was all about a Morgan Stanley analysis that affirmed an "underweight" rating on the UA stock. Jordan Spieth looper Michael Greller took to Facebook to thank people for the sympathy messages and to reiterate that he and his man will be better off for the 2016 Masters. It's worth a read just to see a caddie put together such lucid thoughts in writing. The best way to read this is by clicking on the link, then click on each image of the posting. 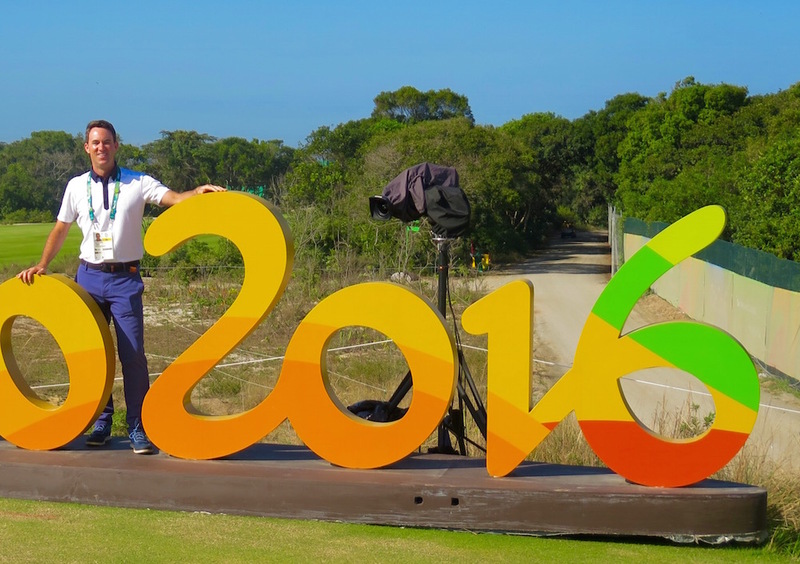 --Danny Willett went to bed about 6 and got up soon after and went for a jog around 9:30 am Monday. Oh, and Buford T. Justice and friends were called out to the house due to a noisy party the night before. Tim Rosaforte with a few Morning Drive notes on the winner. --According to this Irish Mirror story, Sir Alex Ferguson was among the revelers waking up the neighbors. This ESPN staff item says Ferguson gave Willett great advice, but Ferguson bet on Jordan Spieth. --Willett ten percenter Chubby Chandler tells RTE Sport many things about his client, including Chubby's view that Willett can play just about any course, wants to be world No. 1, has a bad back on occasion that slowed his progression to a major title and works hard in the gym. --Darren Clarke is feeling a lot better about his team after Masters week. --Marty Hackel and Alex Holmes with the best and worst player fashion. 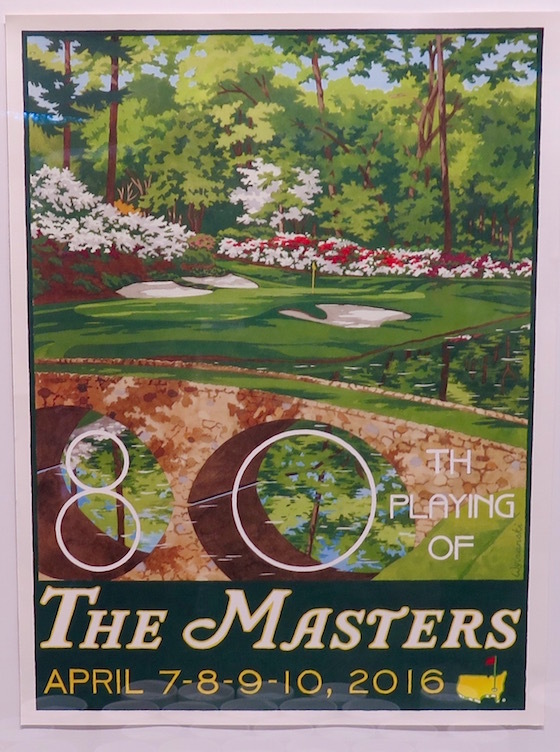 --Scott Michaux found the Masters unforgettable in many ways and issues his annual post-toonamint Birdies, Pars and Bogeys. --Some tremendous images from Golf Digest's team, including J.D. Cuban, Dom Furore, Nick Laham, and Donald Miralle. And nice catch by Joel Beall to see that Nissan heard about Jim Nantz pressing Smylie Kaufman in Hardinesque fashion on his 2008 Murano and offering a new model free. SportsMediaWatch.com reports an 8.5 overnight rating for CBS's Sunday Masters 2016 coverage, down 12% from last year (9.6) and up 9% from 2014 (7.8). While it's the fourth-lowest for final round coverage of the past two decades, there was no Tiger and as Matt Yoder suggests at Awful Announcing the decline isn't that significant. A more eye-opening set of numbers involves Golf Channel's Live From coverage leading up to the CBS weekend telecast. As already noted, the weekday Live From coverage nearly doubled ESPN, and the weekend numbers were shockingly good. Saturday's Golf Channel numbers went like this in terms of average number of viewers, starting with the 8-9 am ET Morning Drive (156k avg. ), followed by the Live From 9-10 am ET window and ending with the 2-3 pm ET window looking like this: 334k, 616k, 768k, 947k, 1.091m, 1.118m. Sunday's numbers were just as strong in average viewers, starting with Morning Drive at 8 am with a 151k average, followed by Live From at 9 am to 2 pm with hourly averages looking like this: 280k, 288k, 597k, 879k, 1.037m. Sunday's Life From following the CBS telecast drew a 294,000 average audience, showing once again how much viewers value the lead-in coverage over recaps, even when the lead-in coverage is on a different network. Numbers were not available for CBS Sports Network's Masters On The Range coverage. I'm battling some balky wi-fi at 34,000 feet, but got to read some of the reporting and commentary related to Jordan Spieth's 2016 Masters meltdown. A short while later, Spieth emerged from the Champions' Locker Room and onto the balcony that wraps around the front of the building before turning the corner to go down the stairs, toward the nearby parking lot and into the awaiting silver Mercedes SUV courtesy car, but not before offering one, final thought that best summed up what he was feeling. “They just told me I can’t take my Green Jacket with me,” said Spieth, hoping the attempt at humor would dull the pain. Phil Casey quotes Nick Faldo, who offered his condolensces to Spieth on the way to the parking lot, and who says Spieth will be scarred by the day. "What happened to Jordan it was so sudden, just bam. It was 10 minutes of golf. That's the harshness of it." Ian O'Connor at ESPN.com with some behind-the-scenes sights and sounds along with what Spieth's loss deprived the 22-year-old of in the eyes of history. Spieth was going to become the youngest player in the Masters era to have claimed three majors. He was going to become the game's first back-to-back, wire-to-wire major winner. He was going to win a second Masters in his third appearance after it took Tiger Woods seven appearances to win his second, and after it took Jack Nicklaus and Palmer six appearances to win their second. At 22, Spieth was going to match the number of green jackets won by Ben Hogan, Byron Nelson, Seve Ballesteros and Tom Watson. He was going to join Woods, Nicklaus and Faldo as the only players to win two consecutive Masters, and he was going to become the first Masters champion since World War II to have overcome at least three double-bogeys. Gary Williams and I discussed on Morning Drive how it's not quite as awful as some may think if Spieth can put the week into the proper perspective. After he's snapped a few clubs over the knee and dragged his golf bag tied to the wing of his jet ride home. Ryan Lavner at GolfChannel.com with some of the range scenes where it was apparent Spieth was battling something early in a day where he arrived three hours before his tee time. Rex Hoggard at GolfChannel.com notes the many parallels with the 1996 Masters. Michael Bamberger on the shame and shock of it all. Yes, all this is far, far easier said than done. But he’s the best golfer in the world and all he needed to do was this: hood that 9-iron a hair, to give his ball a better chance of holding its line through the wind and, most significantly, take the water out of play. That’s the first rule on 12, as Spieth well knows. Even if he made a bogey from the back bunker, or a three-putt bogey for that matter, he still had the two par-5s left, and he’s likely to play them in one or two under. What Jordan Spieth did was a shocker and it will be discussed for the rest of his life. If he wins seven career majors, the obits will say he might have had an eighth. If he wins 17, the same. What he needs to do now, of course, is win that third one quickly. Here comes the broken record: easier said than done. I'm feeling even better about the case made in today's Golf World about the increasingly problematic technology gap at Augusta National after running into some fine first-time patrons at the airport. 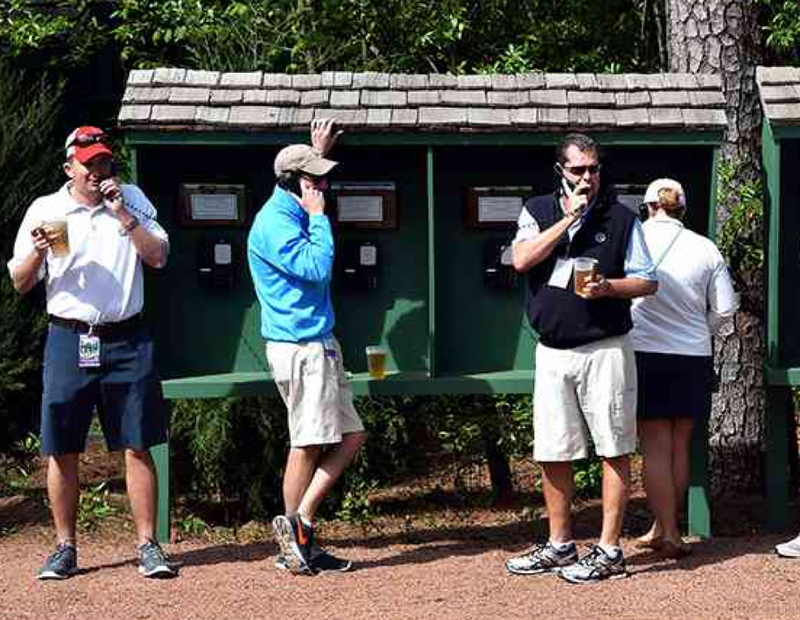 The inability to access cell phones during the Masters is indeed the firstidiest of first world problems, but as I explain, the dearth of information available to patrons is a glaring problem given (A) an increasingly connected world (B) only manual scoreboards and no standard bearers, and (C) the mission statement of Bobby Jones to provide an optimum spectating experience. The feedback in two very fun random chats with four people, all first time Masters attendees, was the same: everything lived up to expectations until Sunday afternoon when trying to follow the tournament as the outcome unfolded. The speed of the scoreboards and rapid removal of group scores without updating what a player made, proved the only disappointment for the folks I spoke to. Anyway, check out the column if you are inclined to hear about the problems of those who got to be in the grounds for another spectacular Masters. Bryson DeChambeau's Masters debut (and pending pro debut) was played with his dad Jon currently facing kidney transplant surgery. Tim Rosaforte with a Golf World column on the generous donation to be made by Mike Watney, former Fresno State golf coach and uncle to Nick. Episode 4 of ShackHouse is live and we cover all things Masters, from the Spieth 12th hole, to Danny Willett to sandwiches to Protracer to oh so much more. The show is now on Stitcher! The Soundcloud page for those so inclined. The iTunes link to this week's show. The iTunes link to the show page. A link to the Callaway Community mentioned where you can interact, learn, get sneak previews and more. Danny Willett's specs, touched on in the opening. Our friends at Harry's, who are offering a great promo code mentioned in the show, as is MeUndies. Check them out. A big thank you for all of the input and support so far and for currently making ShackHouse #2 on iTunes Sports podcast ranking! Is There Any Chance Willett's Win Is Remembered More? We know from experience that history remembers the major collapses more than the winners. Even Nick Faldo, a three-time Masters champion and legend of the modern game is rarely remembered for his impeccable final round 67 twenty years ago when Greg Norman posted 78. Not that Danny Willett will care today as he wears the green jacket, is reunited with his family and finally gets the respect he deserves after two years of world class golf. Is there any chance in time that this will ever be remembered for anything but Spieth's 12th hole collapse? I actually feel there is a glimmer of hope, assuming Willett keeps up the great play and Spieth is able to put in perspective a week that had him clearly the dominant leaderboard figure even with a B- ball-striking game, and continue his elite play. But in a strange way, if the rest of his year is a wipeout because of the 12th hole antics, the perception of this Masters could change even more.